Panyaden’s bamboo Sports Hall and Assembly Hall, designed by Chiangmai Life Architects (CLA) to withstand earthquakes and other natural forces, has been receiving international press coverage recently on online architecture, design, sustainable living, lifestyle magazines and weblogs; the latest is from Highsnobiety, an online lifestyle news website. Read the article here and our previous post on our blog about coverage on Inhabitat, ArchDaily and other architecture/design websites. 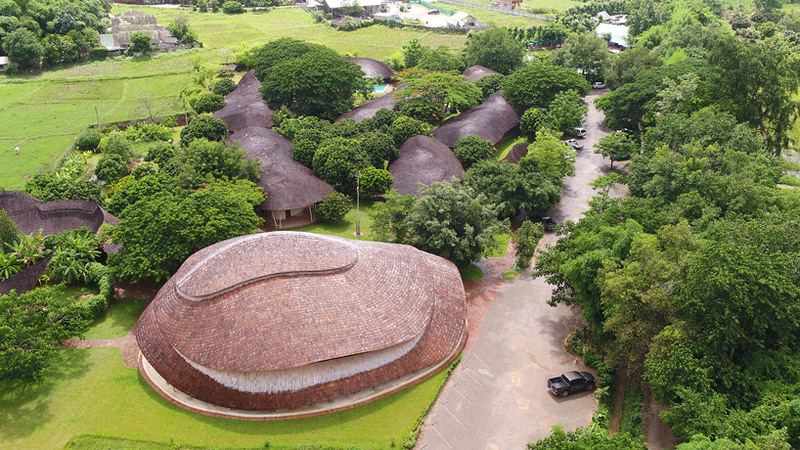 This entry was posted in Featured Posts, Green School and tagged architecture, design, lifestyle, Panyaden's bamboo Sports Hall.